Decatur had a big weekend: (1) The varsity girls won state in volleyball, (2) the football team won bi-district in a game played, oddly, in Oklahoma, and (3) Former Decatur alum Grayson Muehlstein game off the bench to lead TCU over Baylor as QB. We've got a big firearms and drug bust! Redskins quarterback Alex Smith suffered a gruesome broken leg yesterday. The most famous broken leg ever in the NFL was the one received by former Redskins' QB Joe Theisman. Here is some Twilight Zone stuff: (1) The injuries occurred 33 days apart to the day, (2) the injuries were both a right broken fibula and tibula (3) the Redskins lost both games by a score of 23-21, and (4) both injuries occurred at the 40 yard line. A Channel 8 tweet has a weird way of promoting their story on the horrific rhinoplasty gone wrong in Mexico that has left a lady in a coma. Not only is the title abruptly odd, the accompanying graphic appears to be a photo of a monitor taken in a room with bright lights. 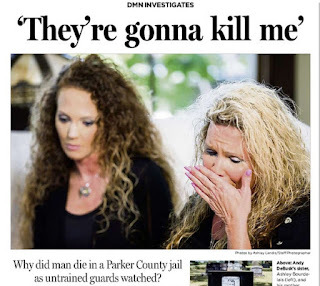 It's not been a good week for the Parker County and/or its Sheriff. 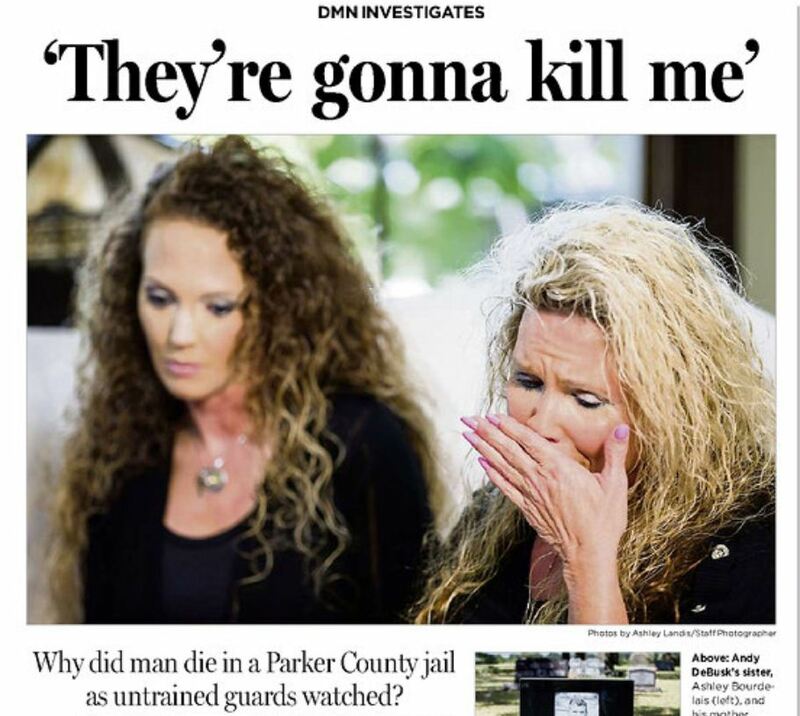 First a deputy shoots himself in the foot giving rise to a possible cover-up, and now the Dallas Morning News goes after their jail. Jails in Texas are almost always run by the local sheriff but, for some reason, is contracted out in Parker County to some outfit named LaSalle Corrections.